Reserve Sorrento & Amalfi Hotels: save up 70% on rooms! The Sorrento Peninsula is easily reached thanks to its proximity to cities like Naples and Salerno and thanks to highways that quickly connect to the rest of Italy. To Sorrento: those coming from Rome or from the north must take highway A1 up to Naples, continue on A3 towards Salerno, exit at Castellamare and continue on state highway 145 up to Sorrento. Coming from the south, travel on A3 just after Salerno, exit at Castellamare and continue on state highway 145. 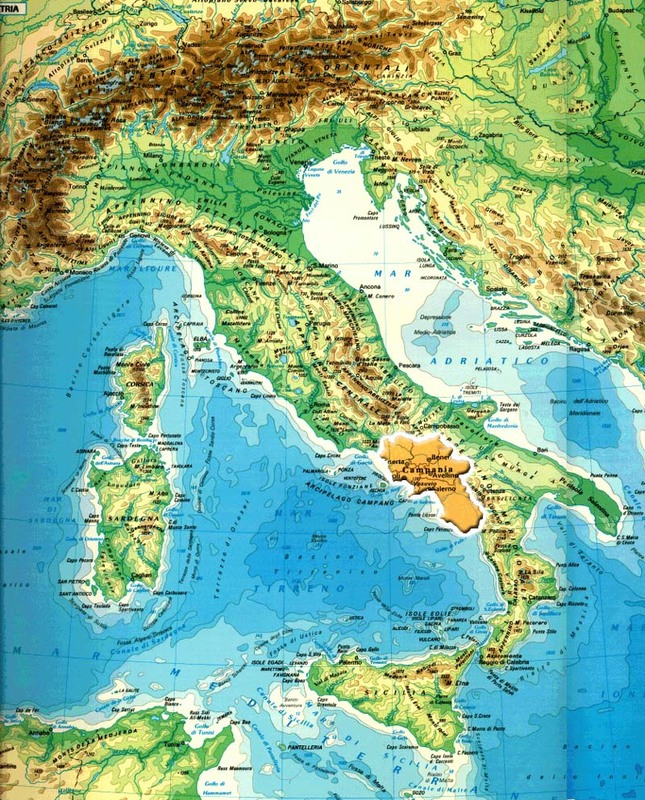 To Amalfi: Those coming from Rome and from the north must take highway A1 and A30 up to Salerno, exit at Salerno Centro and continue on state highway 163 Costiera Amalfitana until destination. From Naples take instead highway A3 up to the exit at Vietri sul Mare and then continue on state highway 163 up to destination. Coming from the south, travel on A3, and exit at Salerno Centro and continue on state highway 163. To Sorrento: getting to Sorrento by train is easy. The Central Station of Naples is well connected to all of Italy. Once you reach Naples, "Ferrovia Circumvesuviana" (below Central Station) has many connections to Sorrento. To the Amalfi Coast: the nearest station is at Salerno, which is connected by many trains to all of Italy. From Salerno you may take a taxi, a SITA bus, or a ferry. For times please consult the Trenitalia site or call the green number 89 20 21. From Naples Beverello Wharf, the pier in front of Castel Nuovo, many hydrofoil and ferries depart for Sorrento; the hydrofoils (aliscafi) are twice as fast as the ferries and the service is usually more frequent in summer. From Beverello Wharf, during May to October, there are two daily runs to Amalfi with Metrò del Mare. From Salerno there are regular connections operated by Coop to Amalfi and other coastal centers. Sant'Andrea (Info: +39.089.873190), Metrò del Mare (Info: +39.081.5514037) and Alicost (Info +39.089.234892). By plane: Naples Capodichino Airport (NAP) offers connections to all Italian cities and major European destinations with traditional or low-cost airline companies. From the Arrival area of the Airport there is a daily bus service to Sorrento provided by Curreri (tel. +39.081.8015420). The nearest Intercontinental Airport is Rome's Fiumicino (FCO), with the possibility of getting to Naples by air besides the train.